Today I share with you a video I uploaded to our new Youtube channel a couple of days ago. 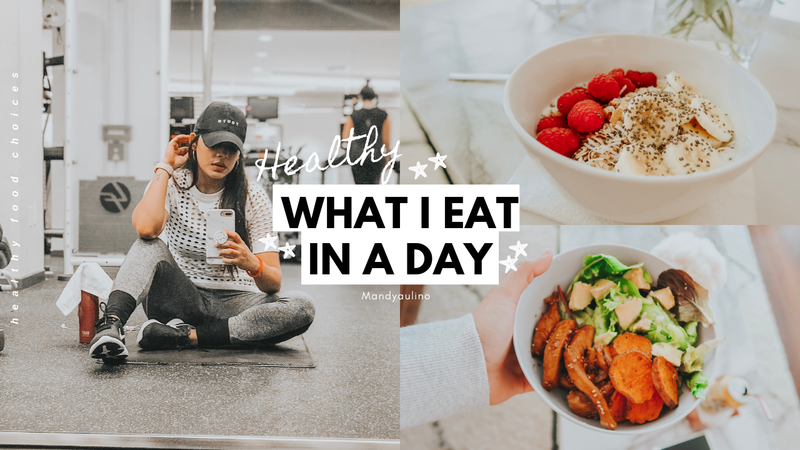 What I eat in a day, just a little glimpse of what I eat on my weekdays, because we all deserve some sweets and a slice of pizza during the weekend, am I right?. Hope you enjoy the video and take some inspo for healthy recipes, I'd love for you to Subscribe and stay tuned for more, let me know what would you like to see on the channel in the comments, I'd love to know! Hoy les comparto un video que subí a nuestro nuevo canal de Youtube hace un par de días. What I eat in a day, una muestra de lo que como en mis días de semana, porque todos merecemos un postrecito y un buen pedazo de pizza durante el fin de semana, ¿verdad? Espero que lo disfruten y tomen algunos tips para recetas saludables. No olviden Suscribirse y manténganse atentos a más, déjenme saber qué les gustaría ver en el canal en los comentarios. Very tasty and healty meals! Ah your videos are so cute!